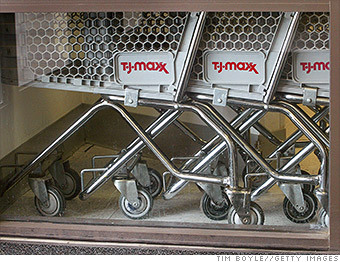 Like the Target breach, the hack of TJX Companies stores -- brands like T.J. Maxx and Marshalls -- affected millions of retail shoppers. In March 2007, TJX said at least 46 million customers' MasterCard and Visa cards had been compromised. Several banks sued to recoup losses related to the breach. In October 2007 court filings related to that case revealed at least 94 million TJX (TJX)customers had been affected -- more than twice the original estimate.